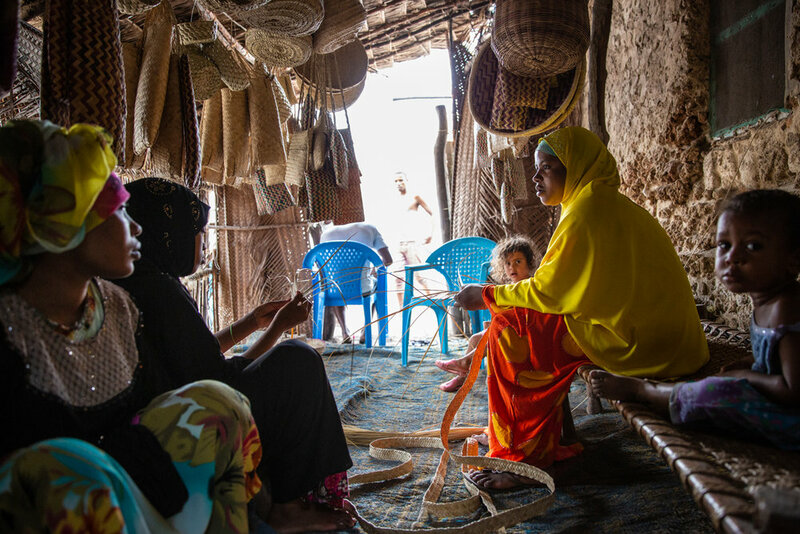 These shoppers are handwoven by skilled women in a village on Lamu island (Kenya). They are light, elegant and will last for a very long time. Every purchase directly supports the women making them. 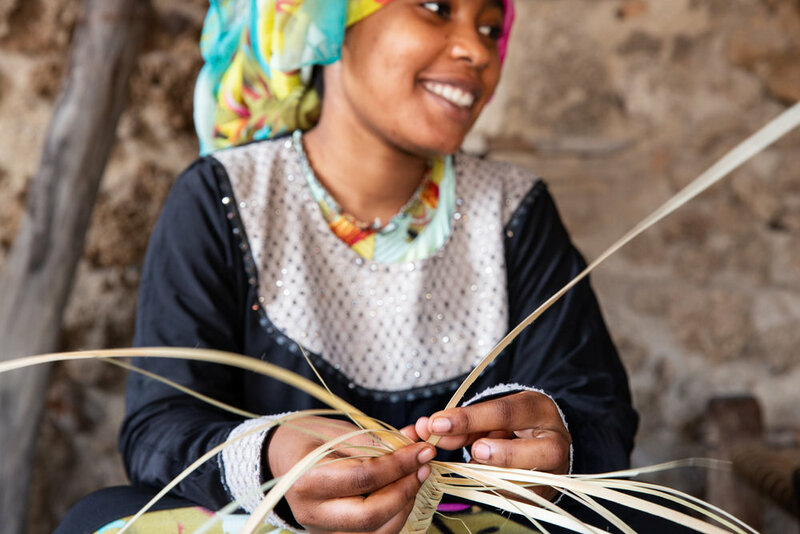 Palm leaves are sourced locally, dried and sliced into thin strips which can then be woven into baskets, mats and other everyday household items. 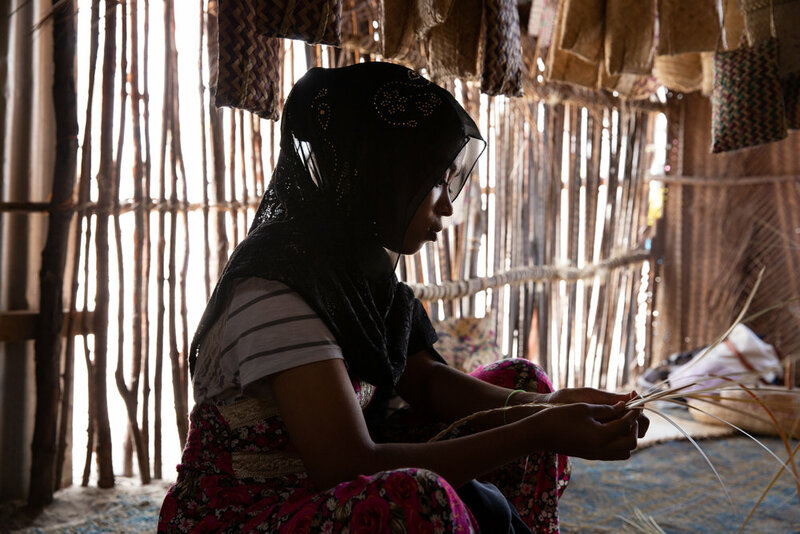 In the palm fringed village, weaving is not only a source of income but also a social activity.